For many sewer cleaning companies, the focus lies on getting the work done. Which is logical, because demand levels are high and sewer problems need to be solved quickly. So you roll up your sleeves and drive out to your assignments every day with a van full of equipment and water tanks that are topped up to the brim. 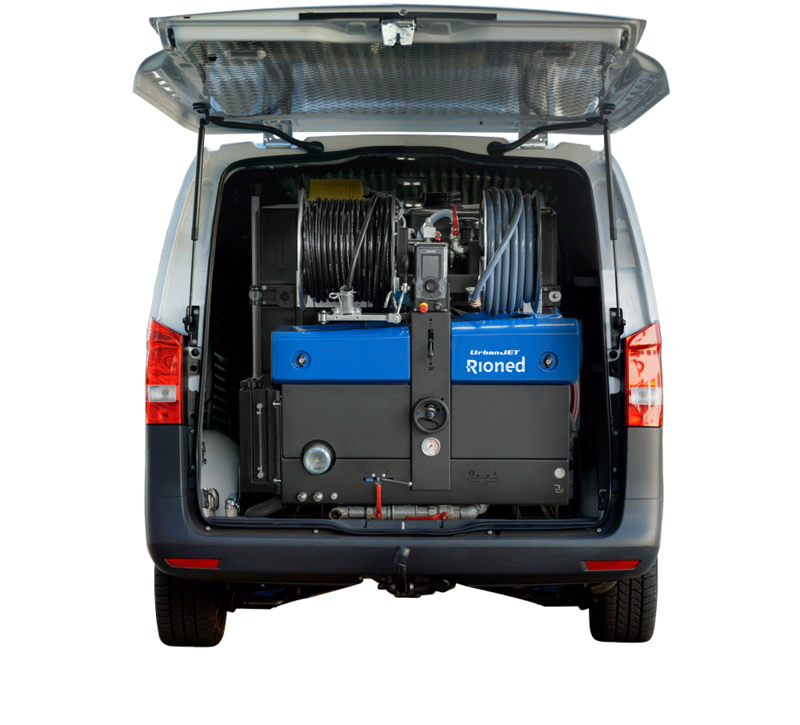 With your high-pressure jetting equipment in the van and all the materials you need, so you can be sure that nothing has been forgotten. And before you know it, through time and work pressure, your van has turned into a mobile storeroom. Surely there must be a smarter and more efficient approach? An approach that generates more profit for you? The heavier your van, the more fuel you use. Everyone understands that. Every 100 kilos of extra weight in your van means that you consume about half a litre more diesel per 100 km. At a pump price of €1.40 per litre, every 100 kilos cost you €0.70 per 100 km. That might not seem much. But when you do the sums, all those small amounts add up to an amount worth having. If you drive 30,000 km per year with an average of 300 kilos of unnecessary weight in your van - materials that you do not need and unnecessary water in your water tanks - your extra costs amount to about €630. If you operate several vans, the extra costs mount up to a sizeable sum. Money that you spend on lugging unnecessary materials and water around. What a waste! Surely you would prefer to spend that money on other things? Furthermore, less weight is not just good for your profit margin. Your van is also much easier to drive. It accelerates better, has lighter steering, brakes to a stop in a shorter distance and has more stable roadholding. In short, any number of reasons for investigating alternatives. 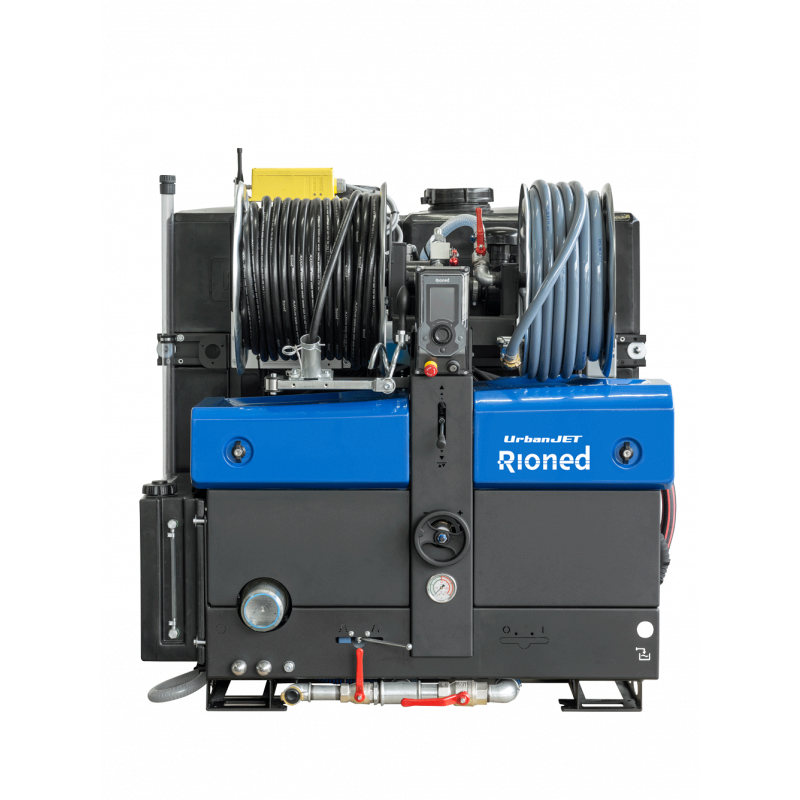 Tip 1: Choose a lightweight high-pressure jetting unit from Rioned. The UrbanJet is an ideal choice. The UrbanJet has been developed for work in and around houses, shops and offices. Because of its low weight, the UrbanJet is ideal for 3.5-ton vehicles. The UrbanJet weighs 90 kilograms less than a CityJet and offers similar options. Tip 2: Do not drive with full water tanks all the time if not absolutely necessary. Full water tanks not only lead to higher fuel consumption, they make the vehicle much less stable and have an adverse effect on roadholding. A heavily laden van with water tanks that are also full to the brim tends to wander all over the road. Tip 3: Consider switching from a built-in unit to a trailer. For example, the FlexJet+ or the MultiJet from Rioned. You can leave the trailer behind when you do not need the jetting unit. So you do not have to tow all that weight to every job. In addition, you have more space in your van for other items.Wessex Water, one of our customers in the United Kingdom, has switched to trailers instead of built-in units because of all these benefits. Are you expecting to have to purchase or replace a high-pressure jetting machine soon? Or are you going to replace your van? Perhaps this is a good time to investigate all your options for saving weight and increasing your profits. Do you have any questions, or would you like more information? Rioned's customer service department will be delighted to help.